Graeme Pierre Le Saux (/ləˈsoʊ/ lə-SOH; born 17 October 1968) is a retired Jèrriais and English professional footballer of French ancestry. He played from 1989 to 2005 starting as a left winger (often wearing the number 7 shirt - right winger Dennis Wise would wear number 11) and left back during his first spell at Chelsea, eventually becoming a left back for Chelsea, Blackburn Rovers and Southampton, and for the England national football team. He came out of retirement in 2012 by signing with Wembley in order to appear in the club's FA Cup fixtures. After beginning playing in Jersey, he moved to England and debuted for Chelsea in 1989. He left Chelsea in 1993 to join the Blackburn side being built by wealthy benefactor, Jack Walker, and was part of their 1994–95 Premier League winning team. In 1997 he returned to Chelsea, staying there for six seasons until moving to Southampton in 2003. He announced his retirement from football upon Southampton's relegation from the Premier League in 2005. In his club playing career, he scored 20 goals from 403 club appearances. He was twice named in the Professional Footballers' Association Team of the Year, in 1995 with Blackburn and in 1998 with Chelsea. His return to Chelsea in 1997 in a £5 million transfer made him the most expensive defender in English football. As an England international, he made 36 senior appearances from 1994 until 2000, including starting all four England games at the 1998 FIFA World Cup in France, and scoring one international goal, against Brazil. Le Saux started his career at St Paul's of Jersey before moving to Chelsea in 1987 after being spotted playing in a local tournament by manager John Hollins. He made his debut for the club two years later against Portsmouth and had become a regular by the 1990–91 season. His first stint at Chelsea ended in controversy, though. Angry at continually being substituted, he snapped when he was subbed again during a match with Southampton and threw his shirt to the ground as he stormed past manager Ian Porterfield. He was sold to Blackburn Rovers in March 1993 for £700,000. Le Saux arrived at Blackburn as part of wealthy benefactor Jack Walker and manager Kenny Dalglish's plan to establish the club as one of the country's top sides, and joined an impressive side containing the likes of Alan Shearer and Tim Flowers. Blackburn finished second in Le Saux's first full season, and were crowned Premier League champions a year later, with Le Saux a near ever-present. He missed the second half of the following season due to a broken ankle which also ruled him out of Euro 96, but was still caught up in controversy after fighting with team-mate David Batty during a UEFA Champions League tie with Spartak Moscow. In August 1997, Le Saux became the most expensive defender in English football when he returned to Chelsea in a £5 million deal. Always a regular when available, Le Saux's second spell with Chelsea was often interrupted by injury or suspension. He remained there for six seasons, and was an important part of the side which won the League Cup and Cup Winners' Cup in 1998 and the FA Cup in 2000, though he missed the latter two of those finals through injury. He was swapped in a part-exchange deal with Southampton for Wayne Bridge in 2003. 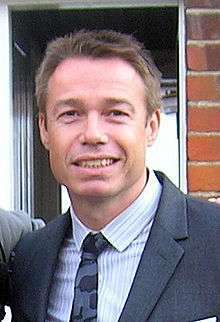 Le Saux played for another two seasons before announcing his retirement in May 2005 following Southampton's relegation from the Premiership. He scored two goals for Southampton, scoring once in the league against Norwich City and once in the League Cup against Bristol City. In June 2012, he was one of several former professional footballers who agreed to join Wembley F.C. to play in their FA Cup campaign for the new season. Le Saux and fellow former-internationals Ray Parlour, Martin Keown, Claudio Caniggia and Brian McBride, plus David Seaman (goalkeeping coach) and former England manager Terry Venables (technical advisor), came out of retirement to play for Wembley F.C. who were featured in a television documentary as they attempted to help the club play at Wembley Stadium. Wembley were knocked out in a replay by Uxbridge after initially setting up the tie by knocking Langford out in the previous round. Le Saux was capped 36 times for England. He made his first appearance in a friendly win over Denmark and played at the 1998 World Cup, appearing in every game as England reached the second round. He was injured for Euro 96 and Euro 2000. Le Saux's only international goal came against Brazil on 11 June 1995 in the Umbro Cup, with a powerful shot from outside the penalty area. It came 18th in a recent poll of the greatest ever England goals. Le Saux is heterosexual, and he and his wife, Mariana, have two children. Despite this, rumours that he was homosexual circulated throughout his career after he said that he had spent a summer holiday with one of his Chelsea teammates, Ken Monkou. He attributed this to his lack of enthusiasm for the "typical" footballer's lifestyle, his university background, and the fact that he read a left-wing broadsheet newspaper, The Guardian. This led to abuse from opposition fans and even players. He was involved in a running series of taunts with Liverpool striker Robbie Fowler while playing for Chelsea against Liverpool on 27 February 1999. During the game, Fowler repeatedly bent over and pointed his backside in Le Saux's direction. Le Saux delayed taking a free kick to protest about Fowler's behaviour and was booked for time wasting. Fowler claimed in an autobiography that at one point during the match, Le Saux shouted "But I'm married! ", which was followed up by Fowler's quip "So was Elton John, mate!" Le Saux himself said that this never happened, and that Fowler had used 'dramatic licence' to make him look funny. The referee did not take any action against Fowler. Unseen by the match officials, Le Saux later struck Fowler on the edge of the Chelsea penalty area. Both were later charged with misconduct by the FA. In a later interview with The Times, Le Saux said, "More than anything in my career, that offended me. What [Fowler] did was wrong and he has never admitted that. He still talks as if it was a bit of a laugh". Following Thomas Hitzlsperger's disclosure that he was gay in January 2014, Le Saux's article from 2007 resurfaced on social media, causing Fowler to state on Twitter that he had apologised to Le Saux. Le Saux took an Environmental Studies degree at Kingston University before dropping out to concentrate on his football career. His interest in learning never left him, however, and as a player he was often derided for reading The Guardian and visiting museums in his spare time. Following his retirement he worked as a pundit for the BBC on both their Match of the Day 2 television highlights show, and for their BBC Radio 5 Live station. He later worked as a match analyst for the U.S.-based NBC Sports Network's television coverage of the Premier League. In other television appearances, in 2007 Le Saux was a finalist on the game show Vernon Kay's Gameshow Marathon and in 2009 he competed in series 4 of the talent show Dancing on Ice, being voted off in the first round. Le Saux has reported and presented occasionally for BBC Two's business news programme Working Lunch, while in 2006, he joined ABN AMRO Bank's UK private banking team in the role of Ambassador for their Sports Desk. Le Saux published his autobiography Left Field: A Footballer Apart in September 2007. ↑ "Graeme Pierre Le Saux - International Appearances". The Rec.Sport.Soccer Statistics Foundation. 1 2 "Terry Venables' Wembley FC recruit former stars for FA Cup". BBC. 21 June 2012. ↑ "Le Saux and Batty shame Blackburn". The Independent. 23 November 1995. Retrieved 15 August 2014. ↑ "Southampton 4-3 Norwich". BBC. 30 April 2005. Retrieved 29 December 2009. ↑ "Bristol City 0-3 Southampton". BBC. 28 October 2003. Retrieved 29 December 2009. ↑ "Graeme Le Saux with wife Mariana and son Lucas and daughter Georgina"
1 2 James Lawton (11 September 2007). "Le Saux shines light on the prejudice and ignorance that destroyed Justin Fashanu". The Independent. ↑ Patrick Barclay (7 October 2007). "Graeme Le Saux looks back with no anger". The Telegraph. ↑ "Le Saux should have gone, admits ref". BBC Sport. 28 February 1999. Retrieved 7 February 2012. ↑ "Anger over gay taunts". BBC Sport. 3 March 1999. Retrieved 7 February 2012. ↑ "How gay slurs almost wrecked my career". The Times Online. London. 9 October 2007. Retrieved 15 October 2007. ↑ "Robbie Fowler Twitter account". twitter.com. 9 January 2014. ↑ "Graeme Le Saux - Sports stars with degrees". telegraph.co.uk. 7 November 2011. ↑ Mike Prindiville (April 16, 2013). "NBC Sports finalizes TV talent for Premier League coverage". NBC Sports Pro Soccer Talk. ↑ Graeme Le Saux (2008). Left Field: A Footballer Apart. HarperCollins. ISBN 9780007271276.